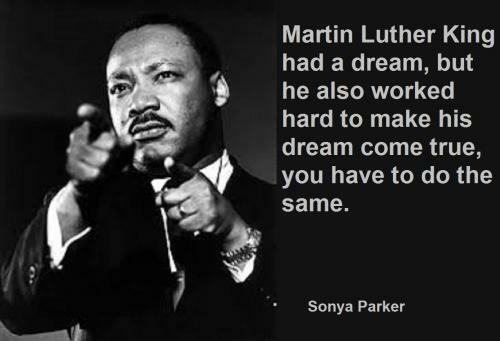 Martin Luther King had a dream, but he also worked hard to make his dream come true, you have to do the same. Success is accepting failure, building inspiration on a daily basis to accept failure yet again and appreciate the lifetime it took to succeed. Losing is a learning experience. It teaches you humility. 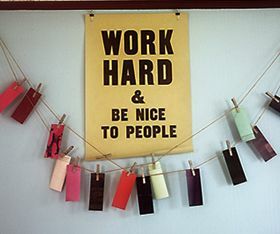 It teaches you to work harder. It's also a powerful motivator. The success you want is yours, only if you have the courage, the drive, the determination to put in the hard work you need to succeed! It doesn't matter if you work till your back cracks as long as it's worth it. Hard work pays and it always leaves a lasting impression. Nothing Awesome Was ever Achieved Without Sweat, heart and Commitment.